We are overly dependent on fossil fuels for energy production. Burning fossil fuels releases toxic gases such as carbon dioxide and sulfur dioxide into the environment. Moreover, fossil fuels are non-renewable resources of energy. Once we run out of fossil fuel reserves, we will have to wait for millions of years to obtain them. To reduce over dependence on fossil fuels, many experts suggest using solar power to meet our daily energy needs. Solar energy is available free of cost, does not pollute, and will be available for as long as the human race exists. Considering the immense potential of solar energy, experts tout it as the energy of the future. To reduce their carbon footprint, and keep a tab on energy costs, many families have started preferring solar homes in Santa Rosa over conventional homes. Solar power systems are highly efficient at trapping energy of the Sun and converting it into electricity. Critics, however, are cynical about the potential of solar energy, and frown upon the idea that energy from the Sun holds the key to solving our energy conundrum. Most detractors of solar energy doubt the capability of solar-powered devices and argue that because solar power systems are not dependable, energy from the Sun cannot be harnessed to meet the needs of an energy-hungry world. Their apprehensions stem from various misconceptions about solar power systems doing rounds in the market. We try to shatter some such myths. Take a look. Many people who live in cold areas wrongly believe that solar-powered systems would not work for them due to the unavailability of Sun for a large part of the year. This is a flawed argument, as the cells of solar devices are designed to store energy from the Sun, and later convert it into electricity. The cost of solar panels has dipped significantly during the past few years. To reduce your total cost, you can apply for tax rebates offered by the federal government and your state government. In many states, going solar costs less than purchasing electricity from utility companies. Families that do not want to pay the entire amount upfront can look for financing options. Going solar can help you keep a tab on energy costs. In most cases, families can recover the cost of their systems within 25 years or less. Many homeowners argue that solar panels look ugly and can drag down the aesthetic appeal of their homes. Installation experts can help address this concern by installing panels at certain positions to minimize visual impact. In many cases, professionals mount panels on the ground. When installing panels, many experts use solar shingles that blend with the roof. To ensure aesthetics do not take a backseat, many solar panel manufacturing companies are coming up with sleek panels. 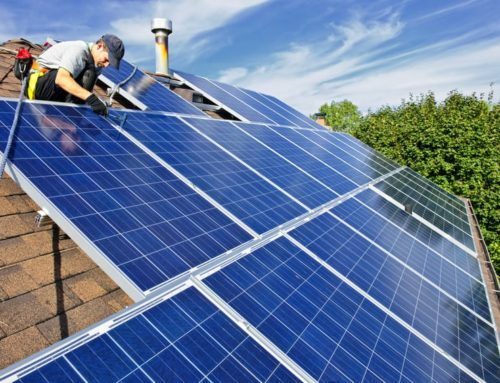 Maintaining your solar panel system is no rocket science, and you do not have to dedicate substantial time and money to ensure it is up and running. Solar panels do not have any moving parts, which makes maintenance a breeze. All you need to do is clean the panel a few times a year to get rid of accumulated dirt and grime. These and many other myths surrounding solar panels are not grounded in facts. At Suntegrity Solar, we are committed to increasing awareness about solar-powered systems by shattering popular myths that often prevent homeowners from taking decisions with the best possible outcomes. If you have any questions regarding solar panels or solar energy, call us at 707-623-1464.